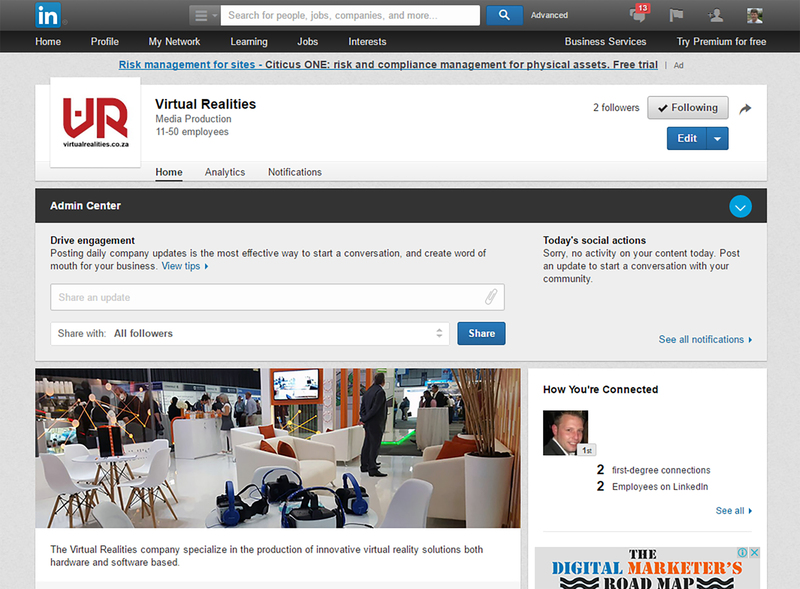 Today we created our Virtual Realities Linkedin company page. On our Virtual Realities Linkedin page you can view all the profiles of our employees and visit their individual linkedin profiles. Linkedin is one of the most powerful and successful social media platform for professionals and we are excited to have our own Linkedin page. On the Linkedin Business page we will share regular posts of what is happening at Virtual Realities, and will also post Jobs and Employment opportunities from time to time on the Virtual Realities linkedin page.